Situated ten miles north-west of Stow on the A44, Broadway has often been referred to as the 'Jewel of the Cotswolds'. 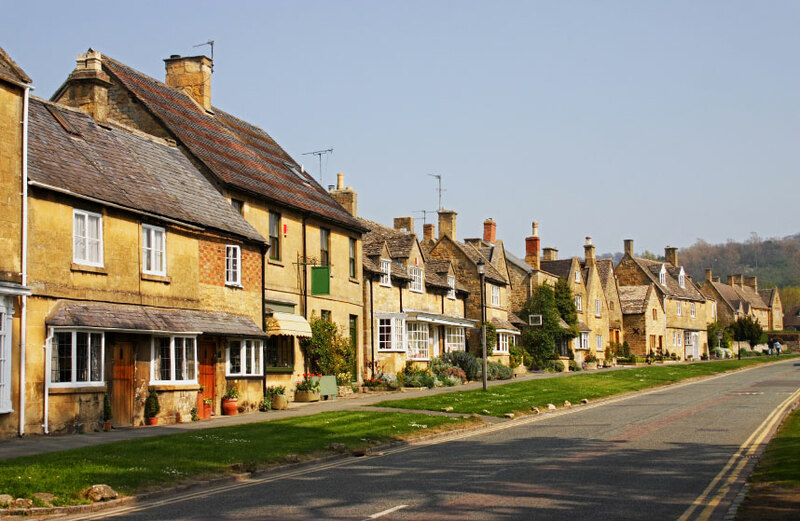 The village, which lies just over the border in Worcestershire, where the Cotswolds meet the Vale of Evesham, is named after its gracious, grass-fringed main street, which is one of the longest high streets in England. This 'Broad Way', which culminates in the village green, is lined with a mix of Tudor, Stuart and Georgian buildings, characterised by the picturesque honey-coloured Cotswold Limestone from which they have been built. On the edge of the green is the imposing and beautiful Lygon Arms, a world famous inn housed in a sixteenth century manor house which has played host to both King Charles and Oliver Cromwell. The inn, of which there were at one time thirty three, bears testament to Broadway's history as a major staging post between London and Worcester as coaches were forced to stop here and harness extra horses to go up Fish Hill. Broadway is documented as a settlement from as early as 1900 BC. After Roman rule came the Anglo-Saxons, evidenced by an extensive Anglo-Saxon cemetery from which eight graves were excavated in the 1950s complete with knives, spears, beads and brooches. In 972 King Edgar gave the village to the Benedictine Monastery and it remained with them until 1539 when it was given to the Crown after the Reformation. In 1558 the Manor of Broadway was sold and it became home to a series of interesting characters including Sir William Babington, whose son was hung, drawn and quartered for his involvement in an unsuccessful plot to free Mary Queen of Scots from Fotheringay Castle. Towards the late nineteenth century the village, which was remote from the railway and remained relatively undisturbed, was discovered by a group of artists, many of them expatriate Americans such as Henry James and Francis Millet. William Morris was another artist who loved Broadway, although his favourite haunt was not Abbot's Grange but the Broadway Tower, also known as Fish Inn Tower. 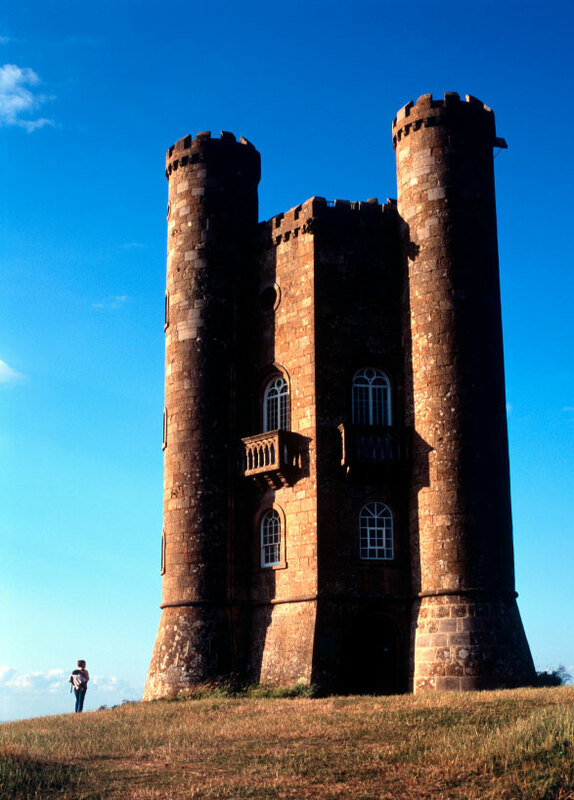 The tower is a folly which, at 1024 feet above sea level is the second highest point in the Cotswolds and from which, on a clear day, it is possible to see fourteen different counties. Built in the late 18th century by the 6th Earl of Coventry's family, the tower forms part of an extensive country estate which also houses an animal park, restaurant, picnic area, children's play area and adventure playground. The village is well known for art and antiques to this day, and its streets are home to several of England's best art galleries such as Haynes Fine Art at Picton House. It is also home to the Gordon Russell Museum, which commemorates the work of a famous furniture designer from the Art and Craft movement in a grade two listed workshop near the Lygon Arms Hotel.